I don’t often share family stories here, but I think I just might start. You’ll get a fun look at our family through our antics and that’s one of the best things about blogging. So here’s today’s funny kid story. I was cooking breakfast and my 2 year old didn’t know what I was making. “Pick me up, please!” she pleaded with upstretched arms. “Of course!” I replied with a big smile. I love when she comes to chat with me in the kitchen. She looked at the stove and saw the pot of berry syrup I had simmering there. “Oooh! Yum!” she exclaimed. “I loooove that!” Then she looked on the other side of the stove. “Pancakes?! 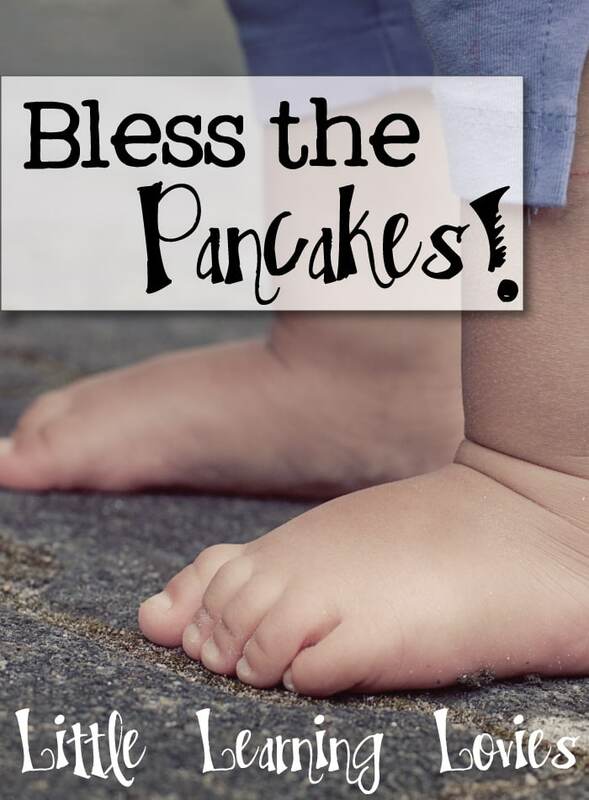 I LOVE Pancakes!” and with that, she wriggled herself out of my arms and jumped to the floor. 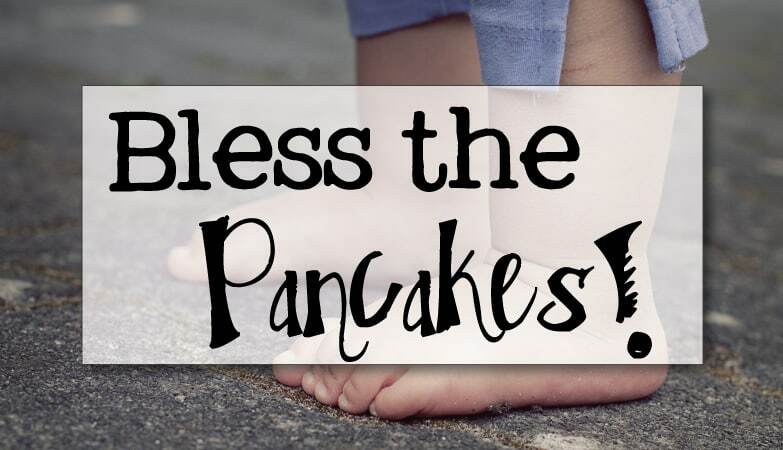 And so, we sat together as a family, eating our blessed pancakes, feeling very blessed, indeed.